Mini Covert FAST - Serrated. 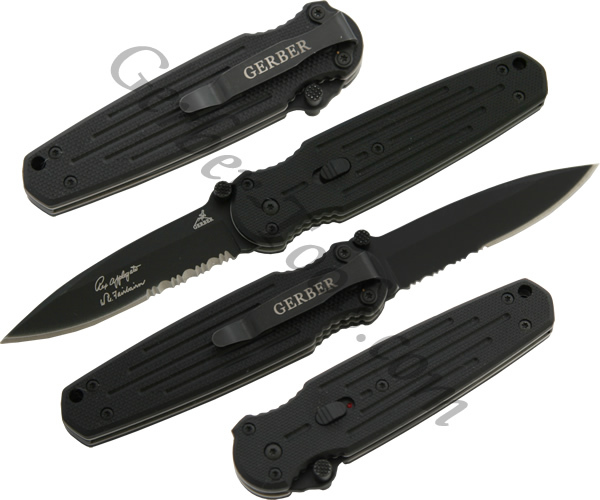 The Gerber Mini Covert FAST is an assisted opening knife that is a little smaller than the full size Covert. 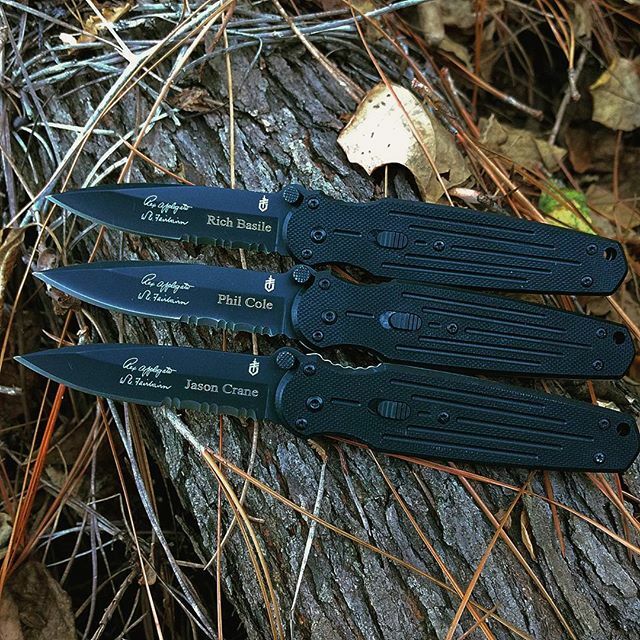 This Gerber model 22-01967 uses the Gerber F.A.S.T. technology to spring open the blade when you push the thumbstuds. The partially serrated blade has non-reflective black titanium coating thus giving the Mini Covert its stealthy look. The handle is made from G-10 which gives the knife good grip even when it is wet. Inside the handle is a piston lock that holds and releases the blade. This piston lock also doubles as a safety when the blade is closed to prevent accidental opening. A pocket clip is mounted on the Mini Covert for easy carrying.